Najnowsy model, D-06u, jest odtwarzaczem CD / SACD, wyposażonym w niezwykłe funkcje i najnowsze technologie. Bardzo sztywny, oryginalny mechanizm napędu dyskowego, LxDTM (※ 1), zapewnia stabilną rotację i dokładny odczyt płyt. Autorski i udoskonalony obwód cyfrowy został zaprojektowany z myślą o najwyższej jakości dźwięku i jest w stanie obsłużyć cyfrowe kodowanie dźwięku do 384 kHz / 32 bity dla plików PCM i 5,64 MHz dla plików DSD. LUXMAN gwarantuje, że konstrukcja tego urządzenia pozwala mu pozostać w najbardziej zaawansowanym punkcie systemu audio przez wiele lat. 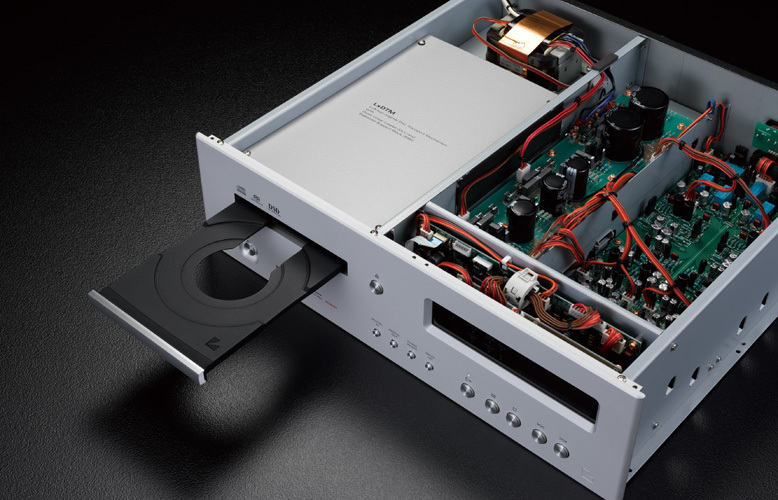 D-06u is equipped with dual-configured (monaural mode) PCM1792A D/A converter that has achieved ultra-high S/N ratio and dynamic range (theoretical value: 132 dB) manufactured by Texas Instruments Incorporated to support playback of not only CDs and SACDs but also file sound sources of up to 384 kHz/32-bit PCM data and DSD data (2.82 M, 5.64 MHz) by connecting a Windows or Mac PC via USB. 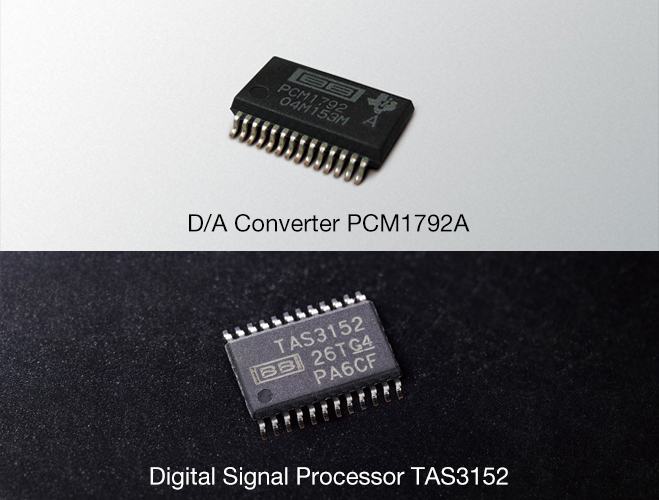 TAS3152, the latest 32-bit digital signal processor manufactured by Texas Instruments Incorporated, upsamples PCM signals to up to 384 kHz to polish the sound quality. Thanks to the function of the chip mentioned above, a digital filter is selectable from 3 types for PCM signals, and a tone is selectable from 2 types made by the DAC chip-embedded analog FIR filter for DSD signals. As countermeasures against jitter, the jitter of USB signals is reduced by the dedicated DSP via asynchronous communication, the jitter of CD or S/PDIF signals is reduced by the embedded DAIR high-precision clock, and the jitter of SACD signals is reduced by the dedicated jitter reduction chip. In addition, the low phase noise clock module improves the accuracy of the entire signal transmission. A high-grade analog amplification circuit is necessary to convert playback signals that have been precisely read by the drive mechanism and sophisticatedly digitized into analog signals through the highly precise D/A converter and produce high-quality audio signals finally by the player. D-06u makes the differential output of the D/A converter, PCM1792A, operating at the monaural mode reduce the impedance by the high sound quality buffer circuit with thoroughly balanced configuration (identically configured amplifier x 4 units). This unit powerfully drives the next stage components such as a pre-main amplifier and a control amplifier. 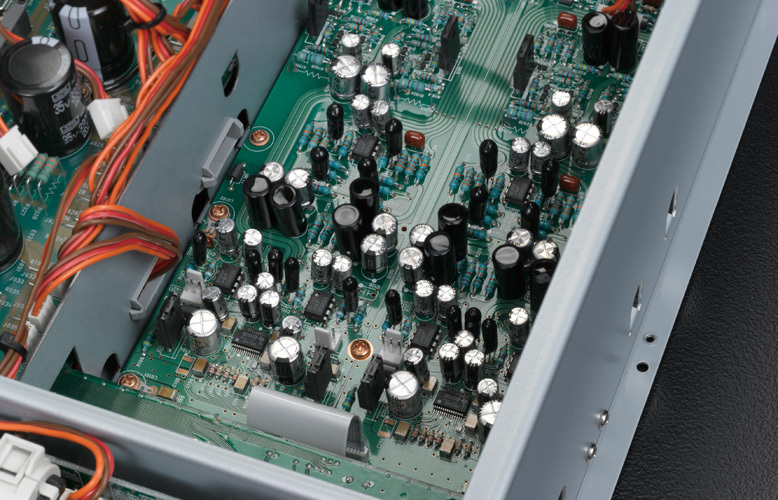 The high-inertia power supply system through the regulators and block capacitor with large capacity allocated for each circuit powerfully supports stable operation with sufficient power from Luxman's traditional audio-specific power transformer. 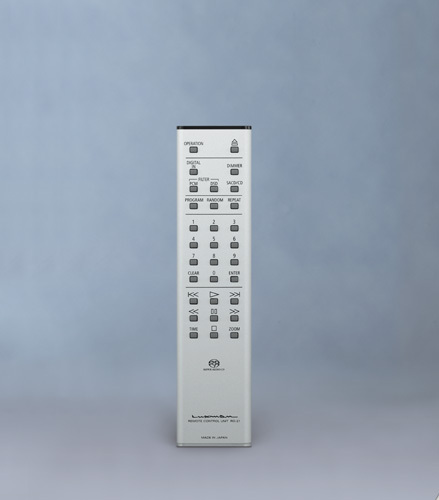 PCM digital input terminals consisting of 1 channel of coaxial line capable of up to 192 kHz/24 bits and 1 channel of optical line as well as USB port ready for DSD/PCM signals on the rear panel. This unit, therefore, can be a digital center connecting to various digital sources. 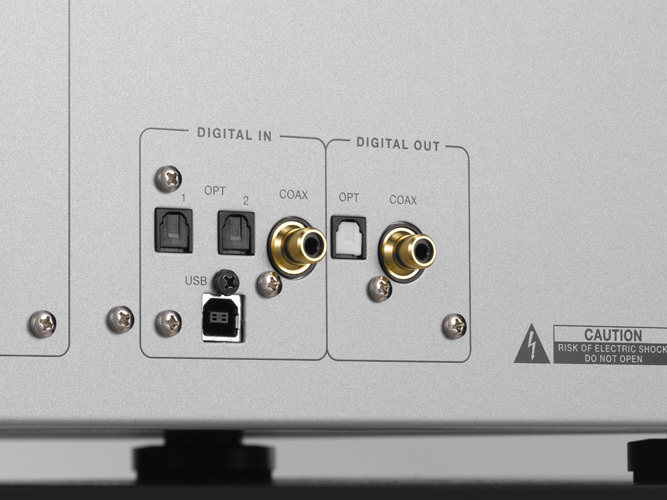 The rear panel features a USB input terminal, enabling connection to DSD and PCM sources, one coaxial terminal and two optical connections which can handle signals of up to 192kHz / 24bit resolution, providing the user with ample connections for various digital sources. The fluorescent display, with its dimmer function, offers excellent visibility and blends beautifully with the luxurious blasted white metallic finish of the front panel. 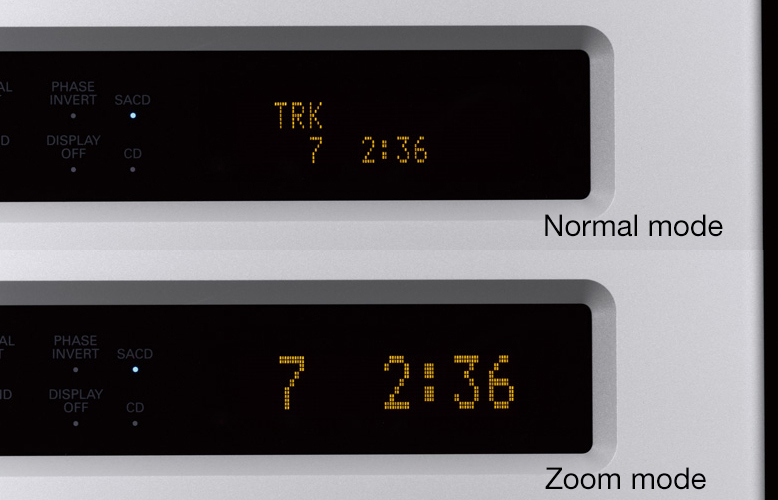 A display zoom mode function is available for easier operation with the remote control at a distance. 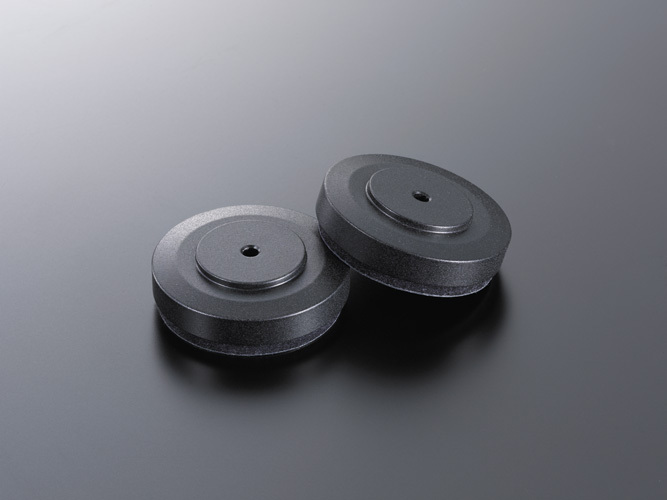 In order to suppress external vibration transmitted from the supporting surface and unnecessary vibration generated from within the housing itself, we adopted gradation cast iron feet with a cast-in density gradient, which gradually decreases from the center point towards the outside of the feet. The supplied aluminium remote control facilitates comfortable operation from the ideal listening position. It is a slim remote, which fits easy in hand, equipped with 10 keys, offering excellent operability.